Compact flashlights are a useful tool, even in the era when cell phones can do just about everything. While an LED bulb from a smartphone can be helpful in a pinch, nothing beats the brightness and ease of holding that comes from a traditional flashlight, especially one that can put out a lot of light while also fitting in your purse or pocket. 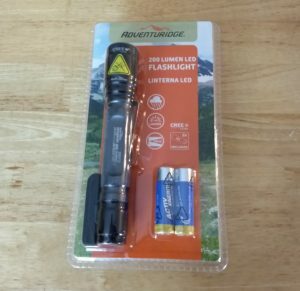 The flashlight is made by Wachsmuth and Krogmann, a company responsible for a number of Aldi products, including the Ambiano Single Serve Coffee Maker and the Adventuridge Pop-Up LED Lantern Set. It’s backed by a 1-year warranty. The flashlight is constructed of an aluminum casing. According to the manual, it contains a Cree XTE LED chip with a life cycle of 50,000 hours, or about 5.7 years of continuous usage … probably far longer than you’ll probably use. The casing is listed as IP 24, or protected from water spray; in other words, this isn’t something you want to go scuba diving with, but it should be fine in the rain. The manual also says it can be used in temperatures as frigid as -4 degrees Fahrenheit (-20 degrees Celsius). Assembling the flashlight is as easy as unscrewing the bottom, putting the batteries in, and screwing the bottom back on. A fourth feature, the power button, deserves a little more attention. By pushing the button in, you can cycle the light on or off. Easy enough. However, by lightly pushing the same button in, you can cycle between three modes: full power (100%), half power (50%), and a flashing SOS light. On paper, this is a great way to separate the on/off function from the mode function, as it can be irritating to have to cycle through every time. However, I found that, more often than not, pushing the button all the way in to turn it on or off also triggered the mode function, which required me to cycle back through the modes to get where I wanted. It’s a bit of an aggravation that I wish wasn’t there. Battery life is 8 hours at half power, versus 3.5 hours at full power. I tend to use half power most of the time, using full power in circumstances where seeing detail, especially from a distance, is important, but feel free to experiment to see what works best for you. We tested it at night and found it to be good for seeing our way at either brightness setting. The manual says that the light is good for a range of 140 meters, or about 460 feet. One other note: this flashlight appears to be a spiritual successor to the LIGHTWAY 160 Lumen LED Flashlight, which was sold in Aldi stores in previous years but was not sold this year. 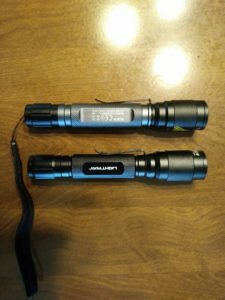 The Adventuridge is a little more powerful (200 lumens to 160 lumens), slightly cheaper ($5 to $7), and has a shorter warranty (1 year to 3 years), but is otherwise pretty similar. 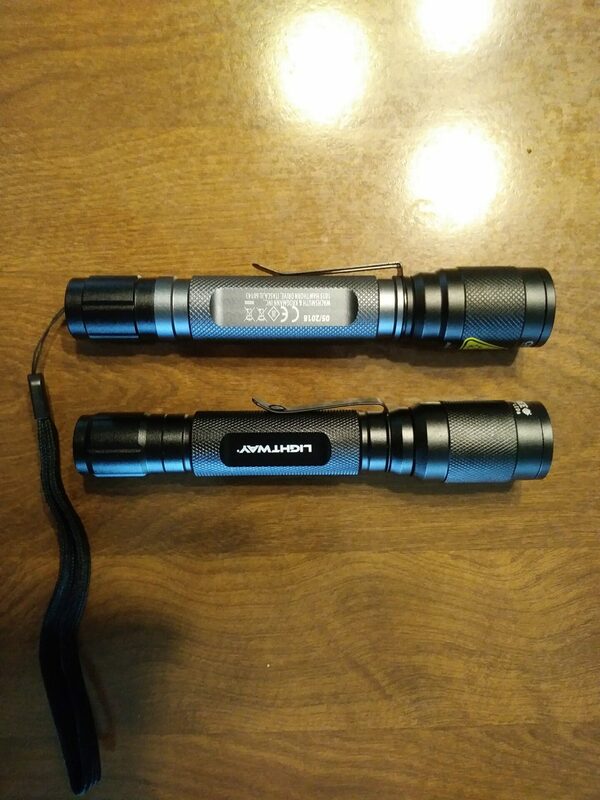 For $4.99, Aldi has a decent compact flashlight with a sturdy build, useful features, a 1-year warranty, and, most importantly, a solid amount of light. The design of the power / mode button sounds better in theory than it works in practice, but overall this is still worth a look as a budget compact flashlight.